Best of the best! 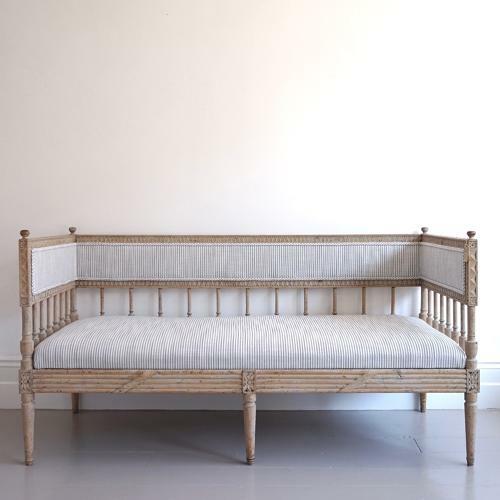 An extraordinary 18th century Gustavian period sofa retaining its beautiful original colour, and featuring extremely rare geometric carvings to the frame, alongside classic Gustavian lambs tongue, reeded and flower carvings. A truly exceptional sofa newly re-upholstered in grey ticking. Swedish circa 1790.